The mother of a dear friend and 30 year co-worker was celebrating her 90th birthday in July of 2017. 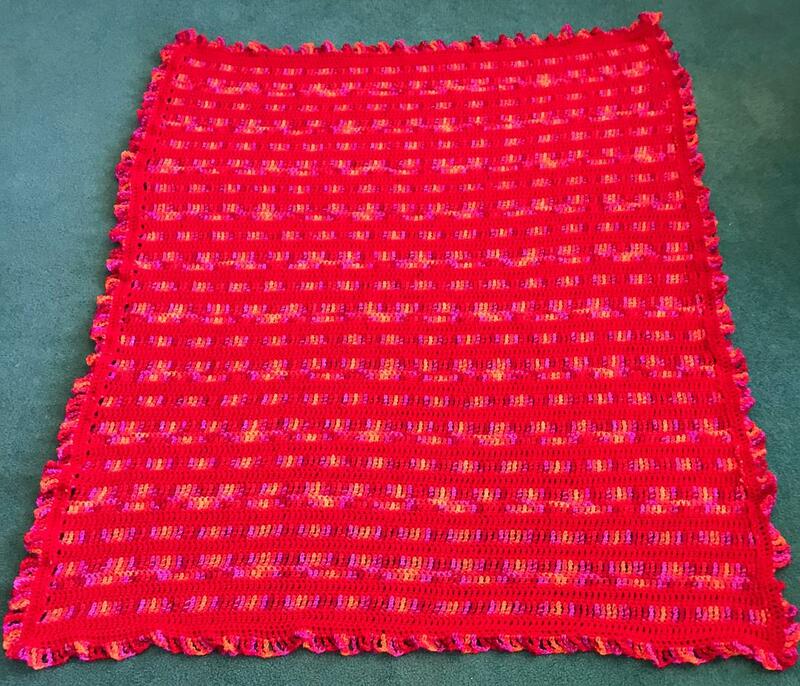 Margo designed and crocheted this striking red afghan. I particularly liked both the inlays and the fringe.